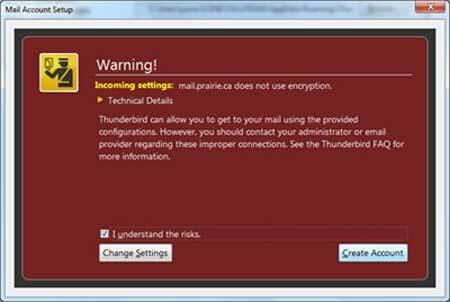 Open Thunderbird. 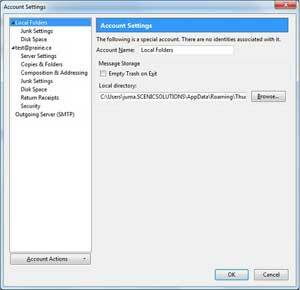 Go to Tools then select Account Settings. Click Account Actions, and then select add new mail account. 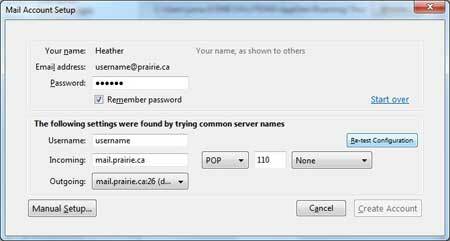 Enter Your name, your Prairie email address, and password. 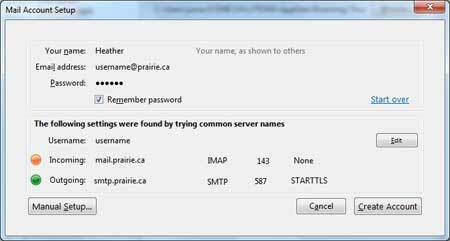 Make sure your email address and password are in all small letters, no spaces. Once the circles stop spinning, click Edit. Re-test Configuration. Click Create Account. Checkmark I understand the risks.